As those of you who follow Facebook know, I don’t have much in the way of barriers when it comes to sharing personal information. So I have been very open about the fact that I apparently snore (I say apparently as I have never heard it myself…). Not only does this irritate Karina when she is herself trying to sleep, she is concerned for my health as she is concerned I show symptoms of Sleep Apnea. For example, every night I literally do half of the affliction’s very name (the Sleep part). While I don’t have a problem with my sleep quality, the issue finally came to a head as Karina asked me to go get a sleep study as my other alternative was sleeping on the couch. On my list of things to do, a sleep study falls firmly between “get a root canal” and “eat someone else’s booger” so I tried gallantly to get out of it. I think I made a pretty convincing argument that, as she felt her sleep was being affected, SHE should get the sleep study. Alas, that argument fell on deaf ears (deaf ears which would be REAL convenient at night). Taking advantage of our nation’s streamlined healthcare system, I visited my Primary Care Physician who referred me to an Otolaryngologist who referred me to a sleep study. 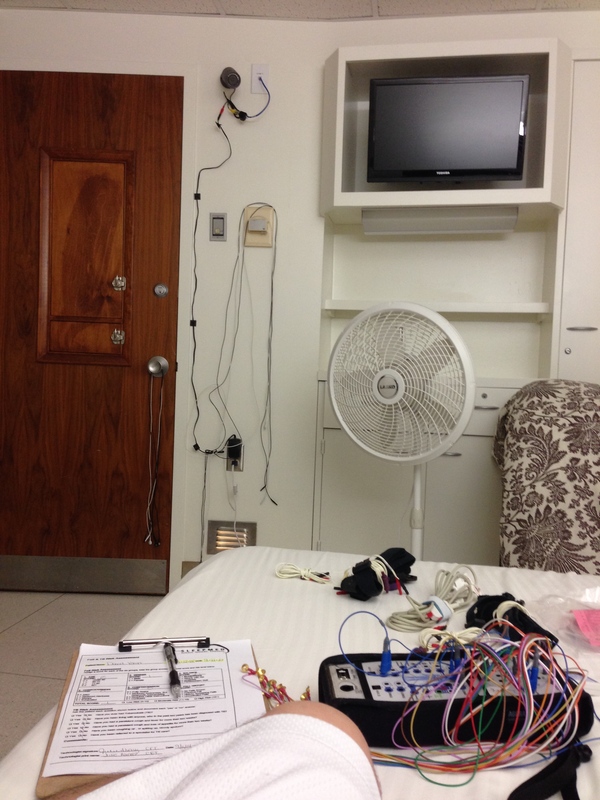 A quick 7 weeks after committing to Karina that I would do the sleep study, I found myself ready for the adventure! 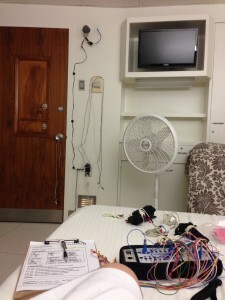 My particular sleep study took place at St. Mary’s hospital. I was told to enter the Emergency Room, check in at the discharge desk, and chill in the Emergency Room until my name was called. 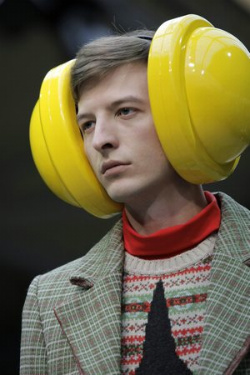 This ensures that, if I don’t have sleep apnea, I’ll at least be guaranteed SARS, Ebola, and/or Hepatitis. I was finally called back to fill out paperwork and I noticed a desk at the end of the hall with R.I.T.Z. prominently featured. Now, I am not a picky person at all. I can sleep anywhere. I would have been happy with a Holiday Inn or a Motel 6 (without a blacklight). But a RITZ?! “This is looking good” I thought to myself. Trying to conceal my excitement I asked the lady checking me in what RITZ meant. She replied: Rapid Intervention Treatment Zone. That, frankly, is a terrible name for a hotel. As I was checking in I heard the facilitators indicate that I was among 4 people doing a sleep study that night. I swear, if they keep me up with their snoring…so help me…!!! The video I watched showing me what to expect showed the (well rested…FAKE!) actor going to sleep in a cozy hotel-like room. It had warm colored walls and a fancy queen bed with amazing upholstery. I walked into my room and immediately though FALSE ADVERTISING! This was clearly a hotel room. But then I noticed the picture. I guess it could pass for a Doubletree. 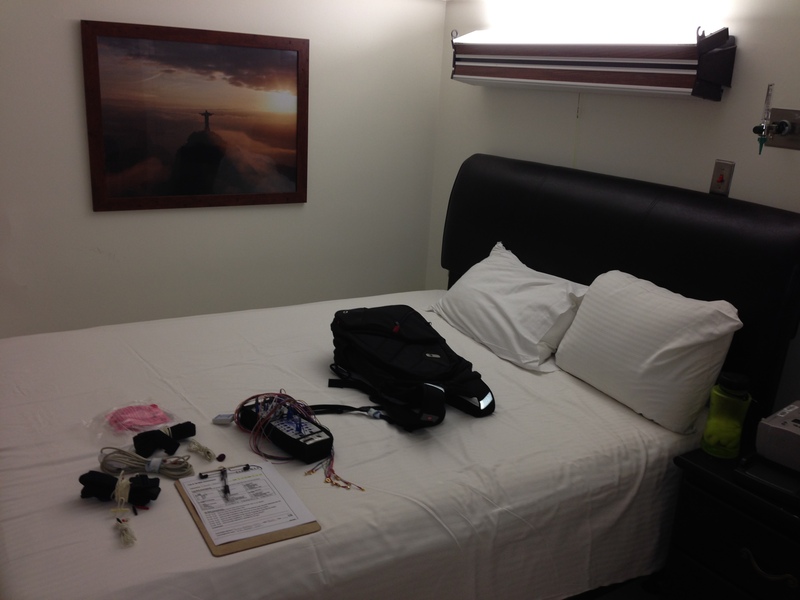 Once I settled in to my sleeping quarters (put my backpack down and sat on the bed) my tech began the process of hooking me up to all manner of sensors. There was probably literally 30 sensors and electrodes attached to my fabulous but exhausted body. Some sensors monitored oxygen, some monitored leg movement, some monitored breathing effort, some monitored brain waves, etc. I wasn’t expecting the comprehensive nature of these sensors and was sincerely hoping they didn’t have a methane detector as my nightly pre-bedtime bagel was making it’s way through my digestive tract. While I was being hooked up I began stressing my ability to fall asleep. 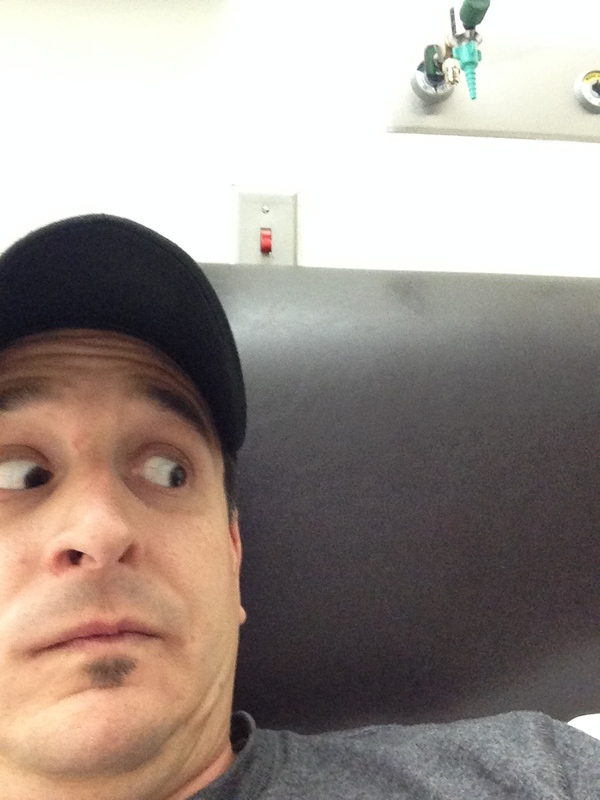 I was in a room being observed while hooked up to medical equipment. I reassured myself by reminding myself I had slept just fine in the same situation when I had my shoulder surgery. Granted, there were heavy anesthetics involved. When my tech was finally done, I realized my worries were well-founded. I laid down, attached to the wall by dozens of wires and realized it was going to take a while to get used to. It was like trying to sleep in a loos ball of yarn, but more constricting. Like a spider feels in a spider web maybe. Like if one were to grow enormous dreadlocks, and then tie them to a bedpost. On top of all that, I had my Facebook friends counting on me! They all knew I was going in for my sleep study. That is a lot of pressure! It was like you all were there with me in the room. And it would have been rude of me to sleep with company. So, in reality, my trouble falling asleep is really YOUR fault. It took quite a while for me to get to sleep but it finally happened. It felt as if I was sleeping very lightly and I woke up a few times. Slightly disappointed but glad to be done with the situation, I headed home (grabbing a cup of coffee on the way because I could). When I got home, Karina told me that SHE didn’t sleep so well. Oh hello there Mr. Rony. Mr. I. Rony! So it appears my lovely wife needs my hot breath and loud, rhythmic snoring after all! No Replies to "Sleep Studly...err...Study"